Is Your Surgery on the Medicare Inpatient Only List? Surgery doesn't come cheap and you will want to know how (or if) Medicare is going to pay for it long before you go under the knife. Simply put, Medicare will cover your surgery under either Part A or Part B. The latter could cost you thousands more in out of pocket expenses. There are several things you need to think about before having surgery. The first, of course, is whether or not the procedure is necessary or if there are other treatment alternatives. After that comes the logistics of how and where your surgery will be performed. Finally, how much will insurance pay toward the bill? You should not undergo any elective surgery or procedure without addressing these issues beforehand. Like most things under the Medicare umbrella, not everything is black and white. Few people are aware that the Centers for Medicare and Medicaid (CMS) has established a list of surgeries that will be covered by Medicare Part A. Other surgeries, as long as there are no complications and the person undergoing surgery does not have significant chronic conditions that put them at high risk for complications, default to Medicare Part B. This affects not only how much you will pay but where your surgery can be performed. Every year CMS releases an updated inpatient-only surgery list. The surgeries on this list are not arbitrarily selected. Due to the complexity of the procedure, the risk for complications, the need for post-operative monitoring, and an anticipated prolonged time for recovery, CMS understands that these surgeries require a high level of care. To everyone's surprise, a common procedure was taken off the Inpatient Only List in 2018. Total knee replacements, i.e., total knee arthroplasty, are no longer covered by Part A. They are now considered a Part B procedure. For the safety of Medicare beneficiaries, inpatient-only surgeries must be performed in a hospital. Medicare Part A covers the majority of surgical costs, and you will pay a deductible of $1,340 in 2018. Surgeries on the inpatient-only list cannot be performed in an Ambulatory Surgery Center (ASC). In fact, CMS publishes a specific list of outpatient surgeries that can be performed at an ASC. This list is referred to as Addendum AA. By definition, an ASC is an outpatient medical facility where surgeries are performed. It may or may not be affiliated with a hospital. You may also hear ASCs referred to as same-day surgery centers. According to CMS guidelines, “the surgical codes that are included on the ASC list of covered surgical procedures are those that have been determined to pose no significant safety risk to Medicare beneficiaries when furnished in ASCs and that are not expected to require active medical monitoring at midnight of the day on which the surgical procedure is performed (overnight stay).” Simply put, these surgeries are low risk and are not expected to require care and monitoring beyond 24 hours. These surgeries will be covered by Medicare Part B. You will be required to pay a 20 percent co-insurance for all aspects of your care from anesthesia to IV therapy to medical supplies to medications to room and board and of course the surgery itself. It is easy to see how costs could far exceed the Part A deductible amount. The inpatient-only surgery list is not only about payment; it is also about safety. Staffing in a hospital is very different than that in an ASC. Whereas a hospital has 24-hour resources, an ASC may have reduced staff overnight. Most ASCs will not have a physician on-site after hours. If there is a complication after hours, it is unlikely that an ASC would have the proper resources and personnel available to manage it. This may necessitate transferring a patient to a nearby hospital. 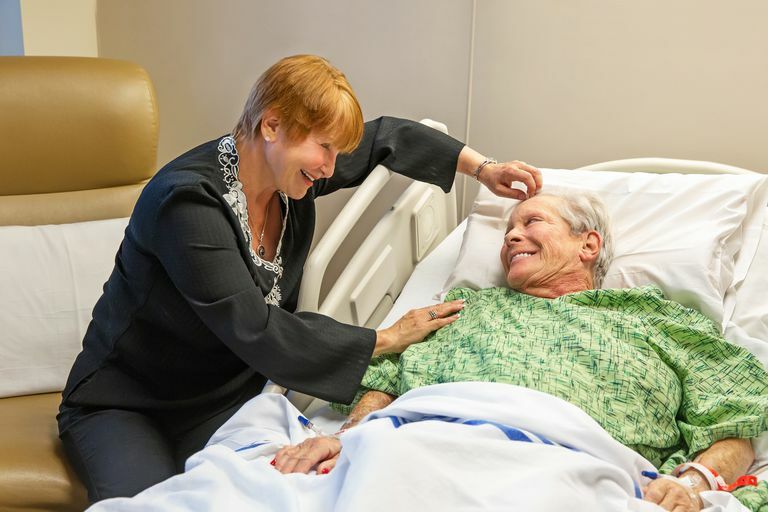 Since care in an ASC is limited to a 24-hour stay, if a patient required more time for recovery, the patient would also need to be transferred to a hospital. For these reasons, all procedures on the Inpatient Only list must be performed in a hospital. However, that does not mean that other surgeries won't be performed in a hospital setting. If a surgery is not on the inpatient-only list and not on addendum AA, it must also be performed in a hospital. Traditional Medicare (Part A and Part B) and Medicare Advantage (Part C) follow different rules. While traditional Medicare follows all the payment guidelines described above, Medicare Advantage plans do not have to. They can choose to pay for surgeries as inpatient or outpatient, i.e. pay more or less, regardless of their being on the Inpatient Only list. This could pose a financial hardship for you. There could be advantages to having a Medicare Advantage plan. Consider rehabilitation care after your surgery. In order for traditional Medicare to pay for a stay in a skilled nursing facility, you need to have been admitted for at least three consecutive days as an inpatient. Medicare Advantage plans have the option of waiving the three-day rule. This could save you considerably in rehabilitation costs if your hospital stay is shorter in duration. Find out which group your procedure falls into ahead of time so that you can better plan for it and avoid additional stress. U.S. Government Publishing Office. Electronic Code of Federal Regulations: Title 42 - Chapter IV - Subchapter B - Part 416: Ambulatory Surgical Services. https://www.ecfr.gov/cgi-bin/text-idx?c=ecfr&sid=38af2161b33de70fc35286fdbee57ca6&rgn=div5&view=text&node=42:3.0.1.1.3&idno=42#PartTop. Updated October 12, 2017. The Centers for Medicare and Medicaid Services. FY 2019 IPPS Final Rule Homepage. https://www.cms.gov/Medicare/Medicare-Fee-for-Service-Payment/AcuteInpatientPPS/FY2019-IPPS-Final-Rule-Home-Page.html. Updated August 2, 2018. Federal Register. Medicare Program: Hospital Outpatient Prospective Payment and Ambulatory Surgical Center Payment Systems and Quality Reporting Programs. https://www.federalregister.gov/documents/2017/07/20/2017-14883/medicare-program-hospital-outpatient-prospective-payment-and-ambulatory-surgical-center-payment. Published July 20, 2017. The Centers for Medicare and Medicaid Services. Ambulatory Surgical Centers (ASC) Center. https://www.cms.gov/Center/Provider-Type/Ambulatory-Surgical-Centers-ASC-Center.html.